As long as you’ve got it physically secured and locked down, they’re VERY unlikely to try and take it again. These parasitic vermin are first and foremost “Opportunist Thieves”. If it’s not suitably bolted down, they’ll take it within 2 minutes maximum. That remains their modus operandi. They’re perfectly well aware that even if someone called the police on them, it would now take our ‘thin blue line’ much longer than 2 minutes to arrive at that location. They’d be long gone by then. Hanging around for 5 or 10 minutes while trying vainly to saw through a reinforced security solution is incredibly risky as I’ve often said. If the police don’t get them first, irate locals could. And with some individuals walking around armed with zombie knives (allegedly for their protection ‍ ) the chances of the CAT thieves getting wasted is very high indeed. A zombie knife would also brilliantly puncture the tyres of the thieves getaway vehicle, preventing their escape and virtually guaranteeing their apprehension by law enforcement IF the latter can spare the time to come and arrest them. Ergo, they would really rather do the job in 90 seconds and scarper, than spend time fending off an irate mob for 5 or 10 minutes while trying to steal ONE CAT from under a Prius. 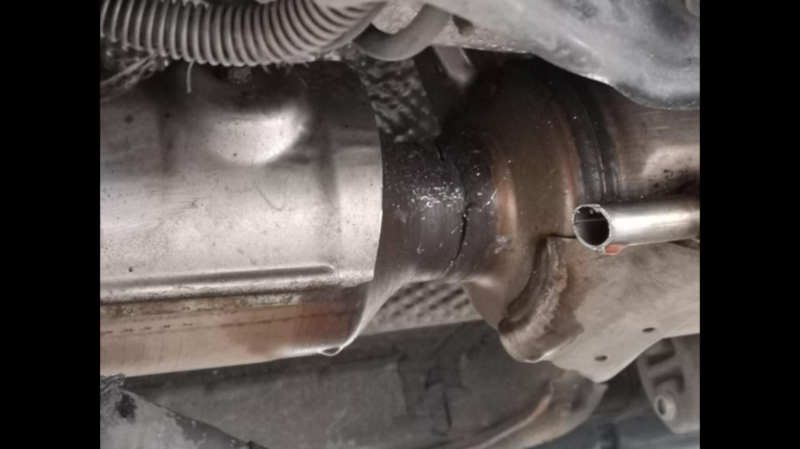 Also, and this is very important, if you’ve had a NON OEM replacement catalytic converter installed, it’s absolutely worthless to them and simply not worth the risk! I’m pretty sure my Prius has been perused by these criminals or their associates a fair few number of times in the last few weeks. I park it anywhere unattended now. It’s registration number indicates it’s 5 years older than it really is - usually an indicator that it SHOULD have an old juicy OEM CAT installed underneath, begging to be nicked. I can only imagine the disappointment when they peep underneath and see the eye boggling high level of security reinforcement surrounding the non OEM CAT. They’ll just walk straight back to their vehicle and drive away, on the prowl for another easy target. So, if you’ve installed any physical security, especially on a non-OEM catalytic converter, they’re gonna walk away. There’s the slimmest of chances some copycat theft morons might indeed try and attack a security reinforced CAT, but their lack of experience and unbridled greed will ultimately be their undoing. I hope those CAT thieves picked up by our ‘Law Enforcers in Blue’ are still in custody, passing huge red bricks out of pure fear. Hopefully, they’re apprehension will lead to the ultimate arrest of the rest of the gang and an immediate halt to their operation. However, like drug dealers stooges, these little minnows might be nothing more than the bottom end of a great pyramid scheme, probably paid around £150 to £200 (or even less) for each genuine CAT they hand in to the Cappo di Tutti - who obviously won’t really be getting his hands dirty at this stage of the operation. Personally, my money is on them ALL being related (they’re family), ergo, they can be trusted and the spoils will be shared accordingly. I'm hoping you're right about them not attacking the car again, especially as I've got an OEM Cat now fitted, not my choice, but the insurance company insisted. I'm going out today but am leaving the car parked up tight against a wall, so it can't be jacked up, and thankfully I have cctv so will be keeping an eye on the car at various points. Annoying but I shouldn't have to. I haven't got around yet to fitting the extra security but when I make a start I will take lots of pictures, as the kids are off on holiday I've had to keep them entertained instead! Please remind me; does your replacement OEM CAT now have physical protection? Was it you who just had a CATLOC fitted? If so, then you have a fighting chance you’ll be fine. If it’s just etched and nothing else.....they’ll likely be on to it like flies on a rotten fruit . Nozzavtr and Mark6868 like this. It does, the Catloc is fitted. It rattles a treat underneath the car thanks to the chain attached to the chassis but it's fitted. May cable tie the links together to try and minimise the noise, well, when the weather warms up! Basically there’s another lock around the other cat, the kit comes with two locks so both are protected. I had a look through the back of the engine and saw the clamp and the green chain cover there so both are protected. Bobo Gem, Devdas and Data Daedalus like this. Sadly the gen 3 is also now a target hopefully it’s a one off. 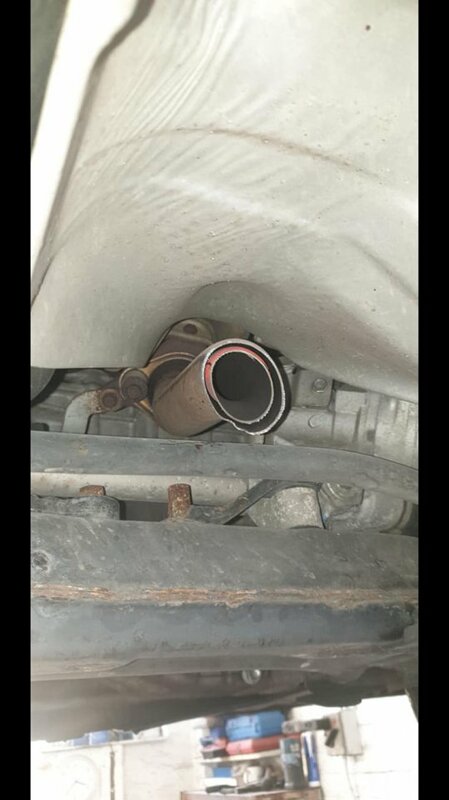 They caused damage to the car didn’t manage to take the catalytic convertor off but poor bloke is going to be out of pocket. Good heavens! That’s horrendous damage right there! Or it’s one of the syndicate’s latest illiterate hired helpers who cannot tell the difference between a Gen 2 and a Gen 3 Prius - and got confused. Either way, this sets a bad precedent. 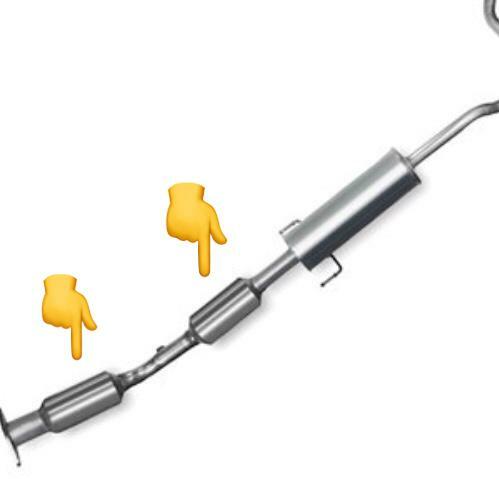 Can anyone confirm the Gen 3 catalytic converter is relatively worthless to these thieves due to it having been redesigned with a precious metal coated (as in plated) ceramic matrix core? I can see the Dumkopf cut through what looks suspiciously like a pressure pipe - is that a drop of brake fluid I see underneath the cut pipe? I maybe wrong but I think what happened with gen 2 Prius the metals used in the catalytic convertors were cheap at the time when they were manufactured but since then some of the metals are now worth more then gold.  The new catalytic convertor has a coating of this precious metals on a ceramic honeycomb structure similarly to the after market catalytic convertors for gen 2. I am hoping this above incident is a case of mistaken identity that all Prius = precious metals. As for the damage done it seems horrendous not likely to be brake lines as they are quite slim. Either fuel or coolant as there is a inline filter if you look at the other side where the pipe is cut. These fools could have set the car on fire hopefully themselves too in the process. I'm in Toyota, they've just told me that the Toyota cat lock can only fit OEM. They will not fit it to mine. @Nozzavtr your insurance fit a OEM and then Toyota fit the catlock right? I didn’t realise it would only fit the OEM cat, my insurance did fit an OEM cat and then I had to pay for the Catloc out of my own pocket, Toyota fitted it. They never told me that it would only fit the standard cat. You could try getting a Catclamp instead, that’s like a steel wire cage that will fit around the new Cat, but you may have to get the top of the range one to stretch around both cats. They never told me that it had to be an original CAT. They just laughed at me for having a Gen 1. Basically told me to get a life, and in doing so get a newer Toyota Prius. A Toyota UK dealership laughed at you for having a 1st Gen Prius?!! I guess I can name them now that I no longer have to deal with them. Jemca Toyota, Edgware Road is where this dastardly deed occurred. I believe you're familiar with them! I can also report from previous visits that they drive our cars without any due care. My dash-cam made for interesting viewing after my sacred Gen 1 was serviced by them. Road humps be damned. The 'Sitting Duck' was very nearly launched into space such was the speed they drove it over some speed humps. You could try and get one from the site above, then just get a garage to fit it, but you'll probably need the Maxx one to cover both cats, or buy two economy ones. Data Daedalus and Bobo Gem like this. I don't think that company is running any more. They certainly were not a few months back when I phoned them. All I got was a hefty phone bill thanks to their premium phone number. No emails were ever read, let alone replied to. that's a shame, maybe you could see if they have a division in the USA at all? Might cost a bit to send over but might be an idea? I’m afraid I had my security solution custom constructed and installed for me by a member on here who took a day off work and kindly did the job for me - something I will forever appreciate! It was not cheap, but that’s irrelevant to me, as the kindness involved in constructing and installing it for me is genuinely priceless. Just for the record, he doesn’t do that for a living, but was simply one of the most talented and ingenious people I have ever met. Did I mention the kindness involved? However, all is not lost; I’ve just remembered that I’ve still got one CatStrap Security Protection System available at home. I’ve already sold one, but the other one (alarmed version) is still available for sale if you’re interested. I ordered 2 of them from the US out of pure desperation late last year, though I didn’t use them in the end, as a day after ordering, I made contact with my generous ‘custom build CAT protection’ friend, who literally did me proud. PM me if you’re interested in purchasing this solution. Peter R Johnson, Mark6868 and Nozzavtr like this. If some of your neighbors had guns to brandish perhaps it would not have happened. You brits need to rise up for your rights. I'm thinking you might be right about guns. 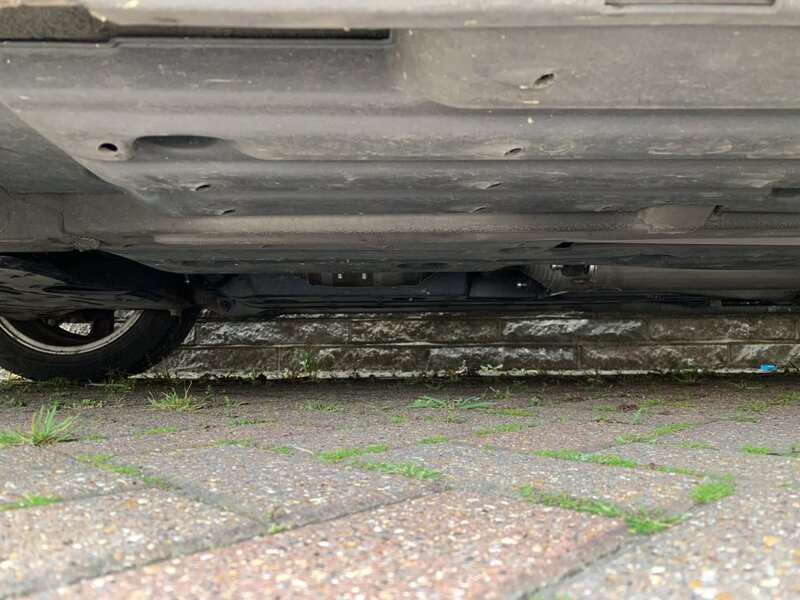 I'm an Australian (born 1952) living in London for a couple of years and just had the catalytic converter stolen from my 2008 Prius while parked in the street in Chelsea last week. To those who don't know, Chelsea is upmarket, but we are not. We only live here and pay the huge rent because my spouse is a critical care doctor and needs to be very close to her hospital. Until recently, I have been extremely opposed to civilians having access to guns. I don’t know anyone in Australia who even owns a gun (almost nobody does). But sometimes crime escalates to the point where one feels the need to be able to do something to help stop criminals acting with impunity. There are YouTube videos showing thieves casually stealing cat cons with no fear even under the view of large numbers of onlookers. They wear masks/balaclavas and it's obvious what they are doing but onlookers are afraid to do anything (with good reason because these miscreants have been proven to carry large knives/other weapons and prepared to use them). Responsible use of a gun by a responsible citizenry would give these miscreants to pause for thought. But with guns, it seems to have to be either liberal gun ownership or completely restricted. I think there can be no in between. Some countries have high gun possession/ownership, such as Switzerland, but have very little gun crime. I do wonder if open gun ownership would work in the UK? I suspect that the traditional British ethnic population before immigration may have presented little problem with open gun ownership, but now it's a different story. And while I'm in a writing mood, just a word about weapon laws being applied unwisely: not long after I first arrived in London in 2017, I went to the Museum of Natural History (South Kensington, London) - a place I have admired from afar and was excited about visiting for the first time. Entrance signs indicated that we needed to declare any items such as pockets knives etcetera, so I declared a multi-tool I had at the bottom of my rucksack. The (Eastern European) security chap to whom I happily and naively declared the presence of this tool (thinking I would lodge it with security and get it back on exiting the museum), asked me to 'just wait'. This tool, I was told, had a blade that was longer than allowed. I said that I just live down the road and that I'll quickly take it home and return if it's causing a problem. He said nothing. Deliberately as I since discovered. Very soon the security supervisor appeared and very rudely informed me that this is illegal in the UK (which I did not know) and that he was confiscating it. It was obvious that I was not a terrorist or troublemaker but when I complained that it was not his to confiscate, I was told by the supervisor that he will call the police if I continued to complain. At this time my benign mood and countenance quickly changed to one of displeasure and grimace. I considered just grabbing the item and if necessary, knocking over the supervisor while reclaiming my device and just exiting the museum - however I did not for other reasons (long story). This supervisor was a black man and the first security officer was Eastern European – I only say this because most of the crime in the UK is carried out by black males and Eastern Europeans. And so, I thought this to be ironic. For information, my son is black (OK, half black because I’m white). My (second) wife is Chinese. I am not xenophobic/racist/chauvinist/terrible person etcetera. During this interaction with the security people, the Eastern European chap said in a very loud accusative voice, “…this is not America (he thought I was American) or Australia or another country… this is Britain…” (I’m still unsure if he realised the irony of this). These security people set me up for the tool to be confiscated. I wrote to the Museum and my letter was forwarded to the Chief of Security. His reply was pathetic, writing something like: “we have to continue to fight terrorism…”. This private security company attitude to ‘security’ here is laughable. I still have the letter which I can forward to anyone interested. It looks like I’ve gone slightly off topic. Sorry.